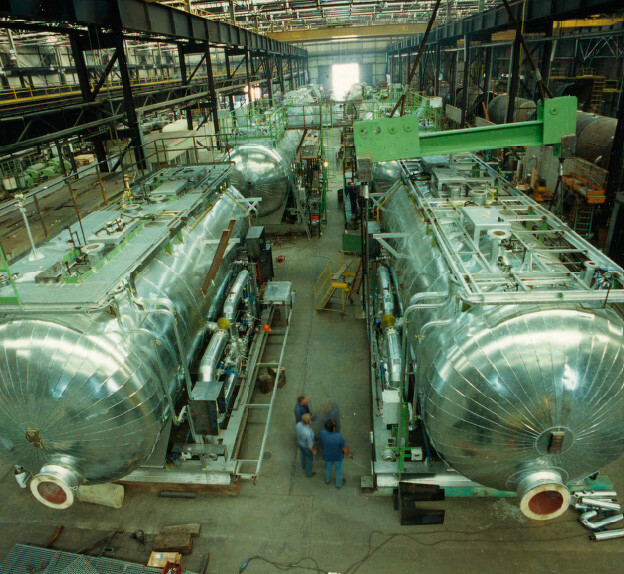 Company - Walter Tosto S.p.a.
With a consolidated experience in the design and fabrication of critical items for the process industry, in particular Chemical, Petrochemicals, Oil & Gas and Energy, today Walter Tosto is recognized worldwide as a leading manufacturer of top quality high pressure equipment and vessels. 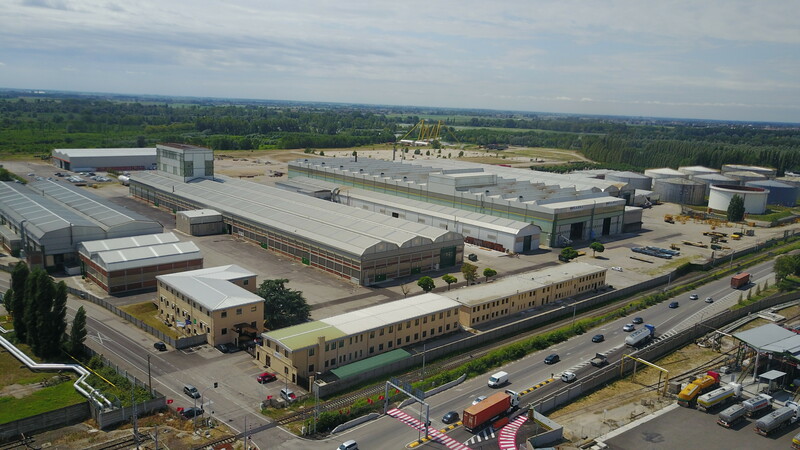 The company owns six workshops in Chieti (Italy), a seafront workshop in Ortona (Italy), directly connected to the main international ports and routes, a subsidiary facility Walter Tosto WTB based in Bucharest, and an additional plant in Oltenița, Romania with direct access on the Danube river. 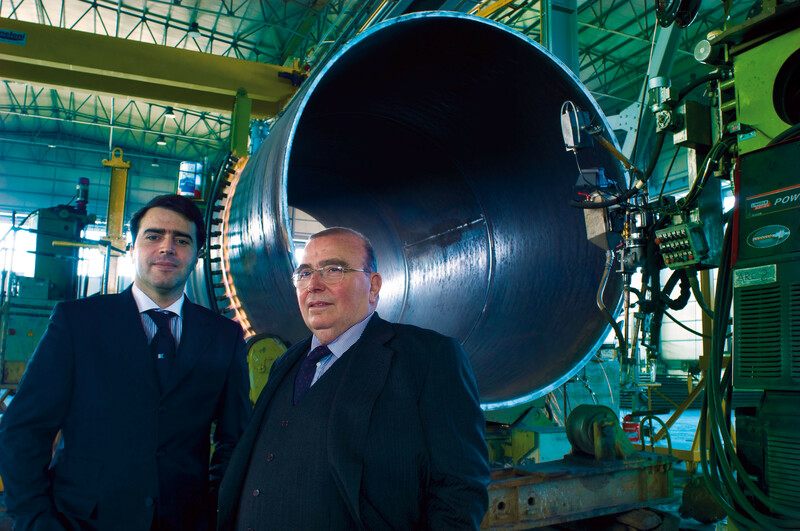 Walter Tosto belongs to the Tosto Group together with its subsidiary Walter Tosto WTB and Belleli Energy CPE. The companies share a socially consciousness management philosophy based on quality, continuous improvements, transparency and flexibility. 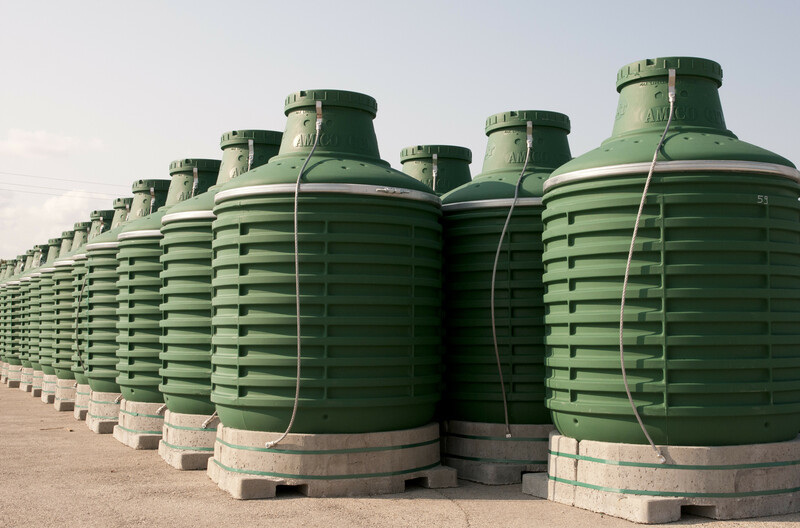 Over the last 58 years Walter Tosto has evolved from a local manufacturer of tanks to one of the worldwide most important industrial constructor of pressure equipment. 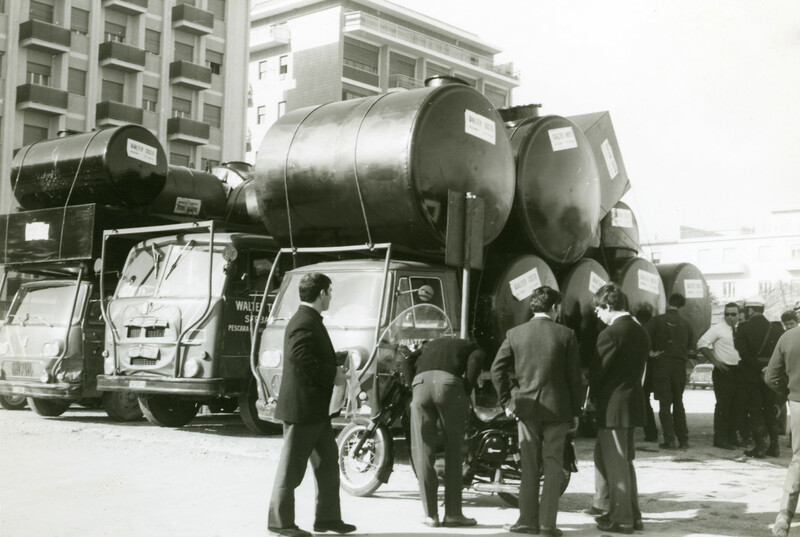 Based in Italy, the company was founded in 1960 by Walter Tosto and its first activity was related on tanks manufacturing for the local wine enterprises and oil mills. 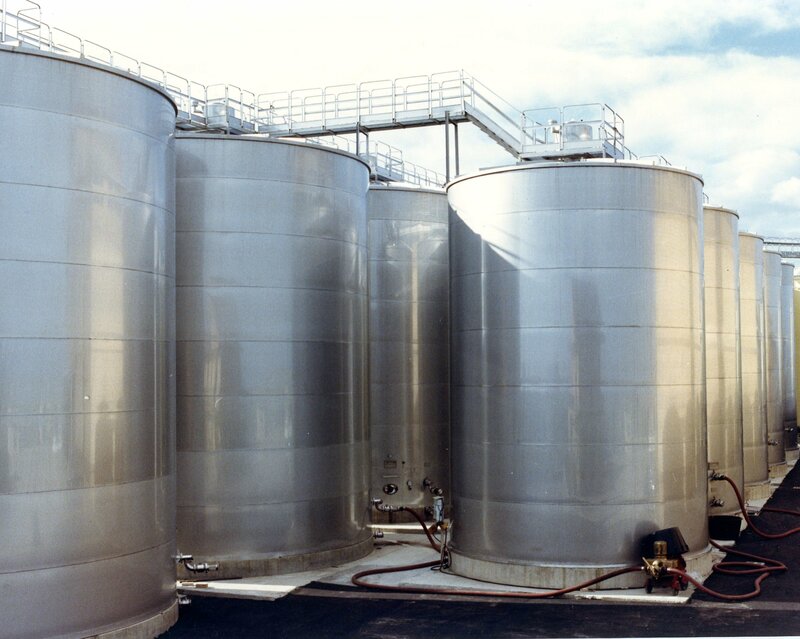 In the 70’s the activity evolved first into the fabrication of pressure vessels for LPG/fuel and subsequently into the manufacturing of long lead critical items for the international Oil & Gas, Petrochemical and Power generation markets (1994). Today the Group is managed by Luca Tosto, Walter Tosto’s son, with the support of his sisters Catia and Emanuela. 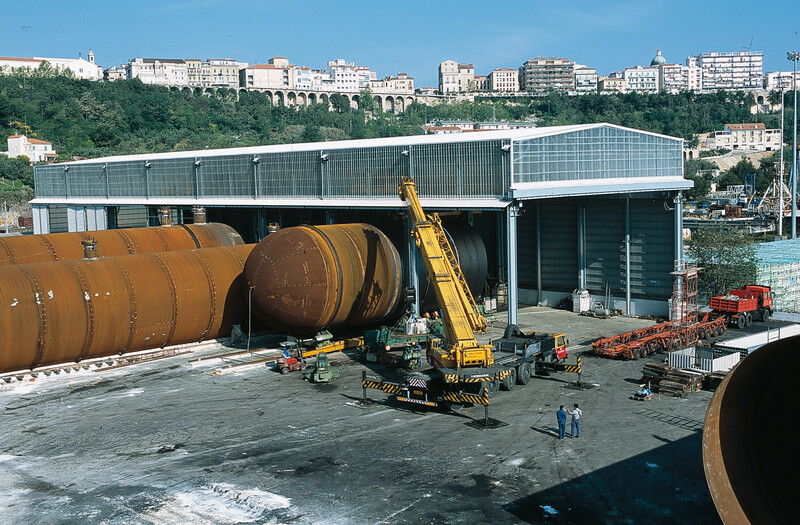 The acquisition and restructuring of the Ortona sea-front workshop on the Adriatic sea in 2000, allowed the company to optimize the logistics and the transportation of oversized items. In 2017 the first class on Mechanical Pressure Euqipment was activated in collaboration with the technical institute of Chieti. Our aim is to consolidate, continue and further develop our achievements. 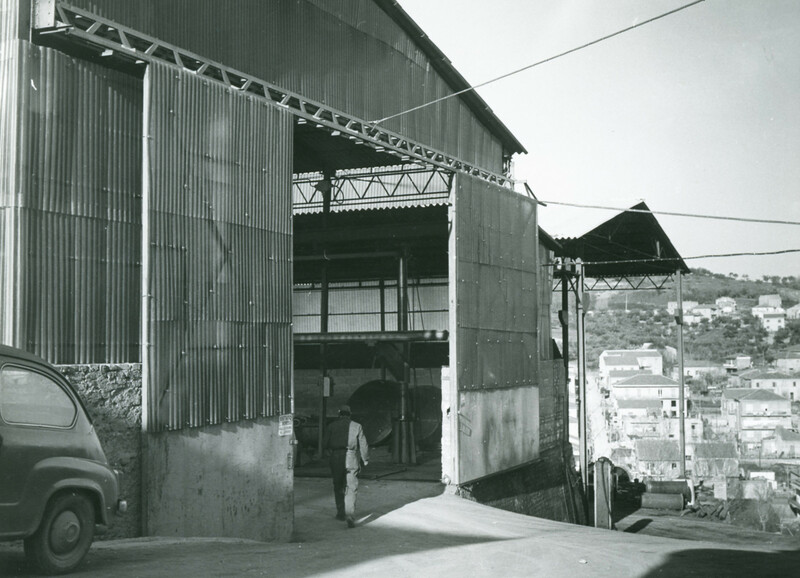 Our daily motivation is supported and driven by the history of the Group, the established processes, consolidated know how, the continuous growth through investments and past and ongoing supply experiences. To be the “first call” and preferred choice for the world’s leading End Users, Technology Licensors and Main Contractors within our business. To consistently exceed our Clients’ expectations through innovative ideas, new technologies and value-adding solutions. 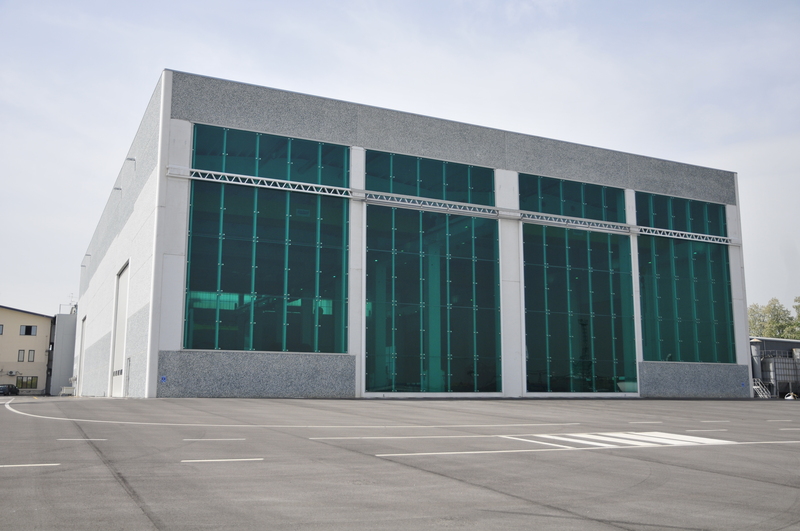 We strive to set up a lean internal structure in order to guarantee an open book approach through direct contact at all operational levels for a quick decision making process. We set high objectives and, through improvements at all levels, we push to achieve the best results. We do not compromise; we have a passion for the best quality. We are committed to perform all our processes in a safe and accident free environment in order to guarantee health and safety to all our people. Our constant research for new technology solutions make us an innovative company, wishing to share the results with our customers. We are open and quickly adapt to new market requirements. We strongly motivate and train our employees in order to rapidly and efficiently adjust to the different requests. We have a duty to act in the best interest of our environment and society as a whole. 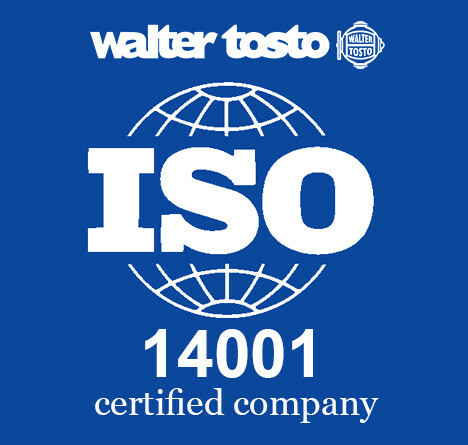 Walter Tosto’s Quality Policy involves the management of all the activities and pursues the aim to guarantee quality standards at all the organization levels. By following the Quality Management Program, the organization aims to maximize the efficiency of manufacturing activities and the products quality in order to guarantee full satisfaction of the customers. At this purpose, all the elements necessary for an accurate planning of the business processes are continuously collected and evaluated. Adequate competences and knowhow of the employees are essential requirements to guarantee that the processes are performed in an efficient and successful way. The availability of the most advanced tools and machinery allow us to obtain the expected quality level and high productivity. 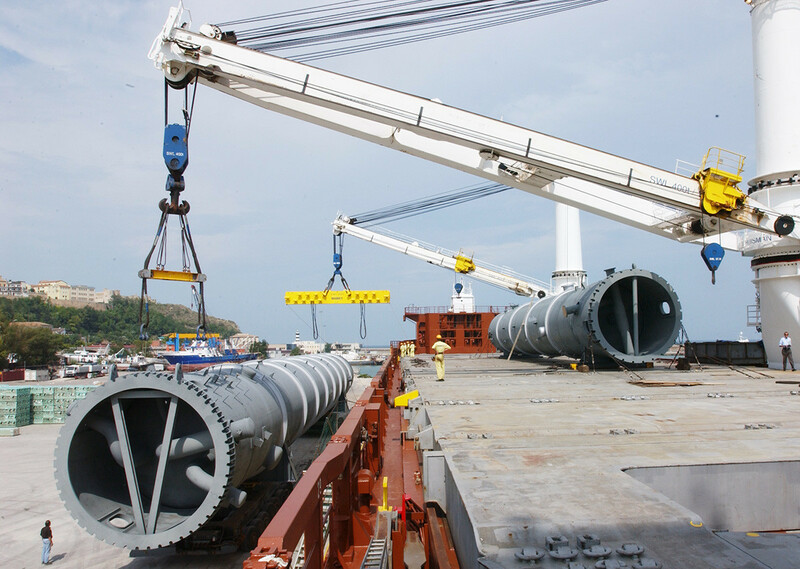 The high quality of the procured materials is another important aspect together with the capability to identify qualified suppliers and to create strong partnerships with them. 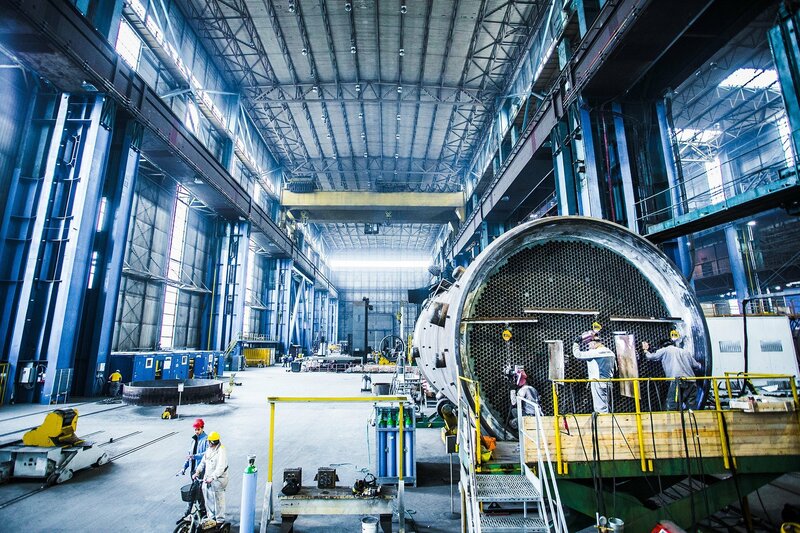 Thanks to the strong interaction among all the business functions, the fabrication activities are managed with absolute competence to promptly prevent negative situations and solve any possible issue. Regular checks of the quality system status and corrective or preventive actions ensures continuous improvement of the organization. The continuous improvement perspectives, the several certifications obtained, the operative and organizational quality of the company processes allow Walter Tosto SpA to place itself among the excellences of the sector. 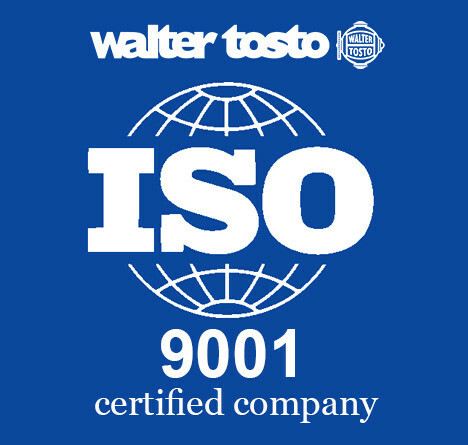 Since 1995 Walter Tosto SpA operates through a quality management system that complies with the standards established by the ISO9001 certification. 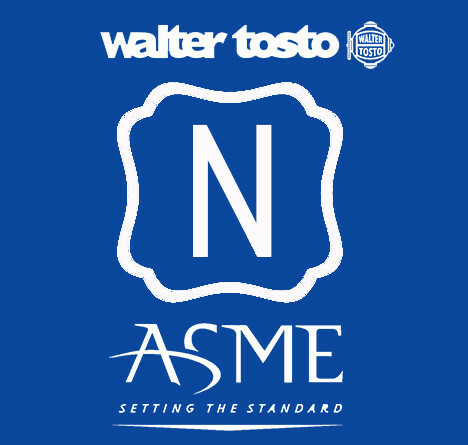 Thanks to the continuous attention to the improvement of all the activities quality, Walter Tosto has obtained further certifications, such as ISO3834 “Quality requirements for welding metallic materials” as well as ASME U, U2, U3, S and R.
Our Quality functional area is also specialized in obtaining international credits such as the SELO certification, which allow us to operate in China and the GOST certification for the Russian countries. The company also pays great attention to the impact of its activities on environment and people. The ISO 14001 certifies and formalizes our strong intention to respect and protect the environment by reducing the emissions. In 2011 the ASME N and NPT Stamps “Rules for the construction of nuclear components” were also obtained. Walter Tosto SpA is committed to guarantee health and safety of all the people working within the company, as well as the protection of the environment. 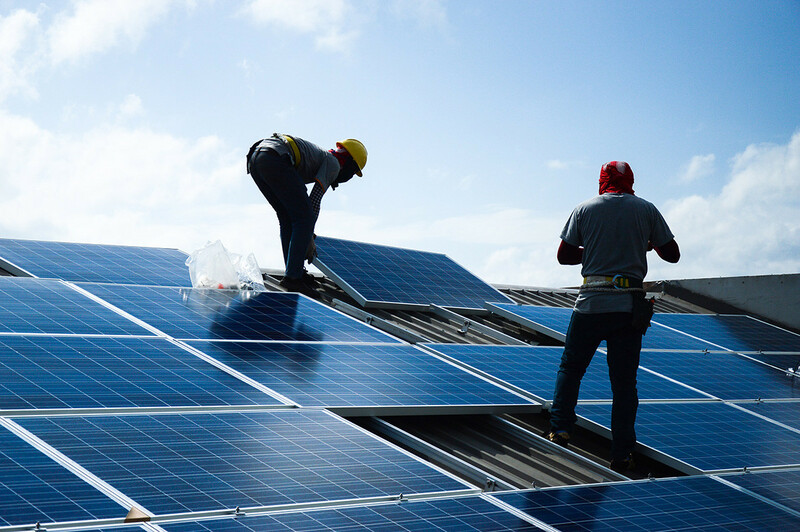 In this regard, precise preventive safety measures have been implemented and environmental policies have been defined in order to minimize injuries and impacts on the environment. Our safety policy embraces all the organization levels in order to eliminate dangerous situations and behaviors that can cause accidents or injuries. 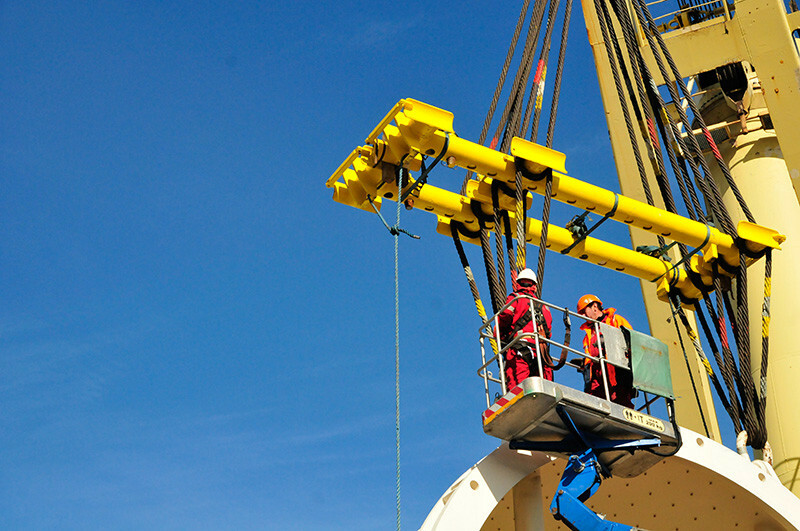 Safety is indeed placed at the same level of productivity, efficiency, quality, environment and other factors of significant importance for the company. We believe that all the accidents can be prevented through the application of the best technologies in the workplace and through an appropriate training at each organizational level, in order to define and assure that skills and responsibilities are in line with the perspective of continuous improvement. All the employees are responsible for applying security policies and they are required to work in a safe manner in order to eliminate any risk of accident. Walter Tosto favors the use of personal prevention devices to improve security and ensure workers’ health. 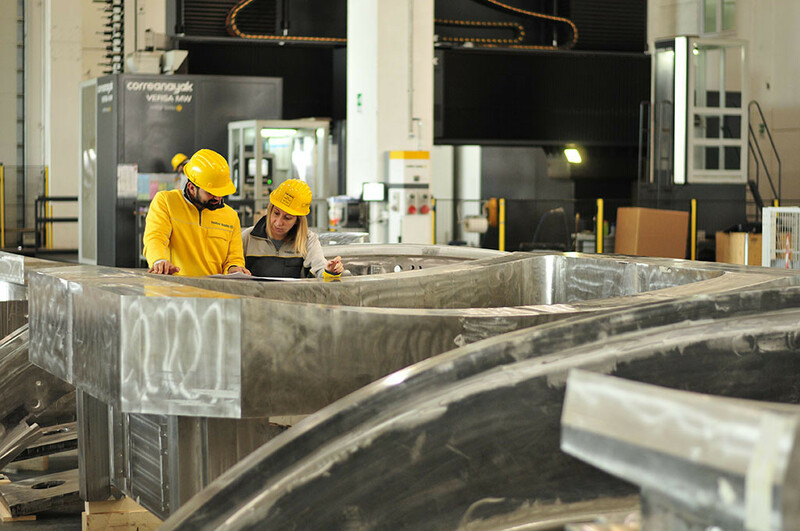 The safety warranties at work are a key aspect in the implementation of manufacturing activities and indirectly contribute to ensure the maintenance of quality standards of the products along the time. 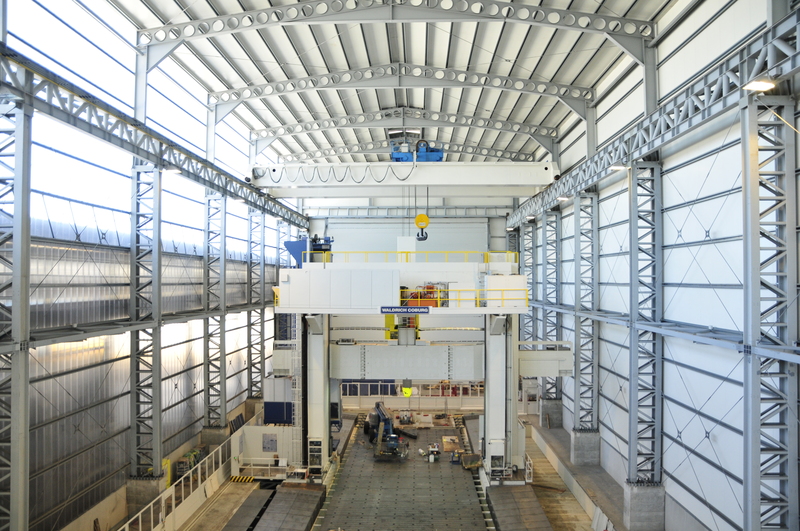 As manufacturers of critical components for nuclear installation, an adequate knowledge on nuclear safety culture is also a central aspect for the organization. For this reason, we created and shared a manual, addressed to internal and external collaborators, that examines the different aspects embraced by the nuclear security, such as leadership ‘s values ​​and actions, work processes, questioning attitude, problems identification and resolution, work environment, communication, continuous learning and personal responsibility. 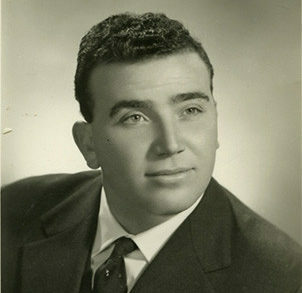 The strong connection with the territory makes the environmental protection part of Walter Tosto’s philosophy. For this reason, the company is committed to define, observe and enforce the best practices for the reduction of all possible environmental impacts. This intention was achieved by the ISO 14001 certification, which formalizes the respect and protection of the environment by the company, that is committed to reduce the emissions. A consistent part of the value generated by the companies comes from people. Conscious of this principle, we invest in people to strengthen organizational capability and develop a talented global workforce that gets results the right way. In addition to continuous learning programs for our employees, Walter Tosto offers to young people interested in undertaking a professional path in the company, the opportunity to acquire all the necessary skills. Below are a set of courses, training programs and activities organized by the company. 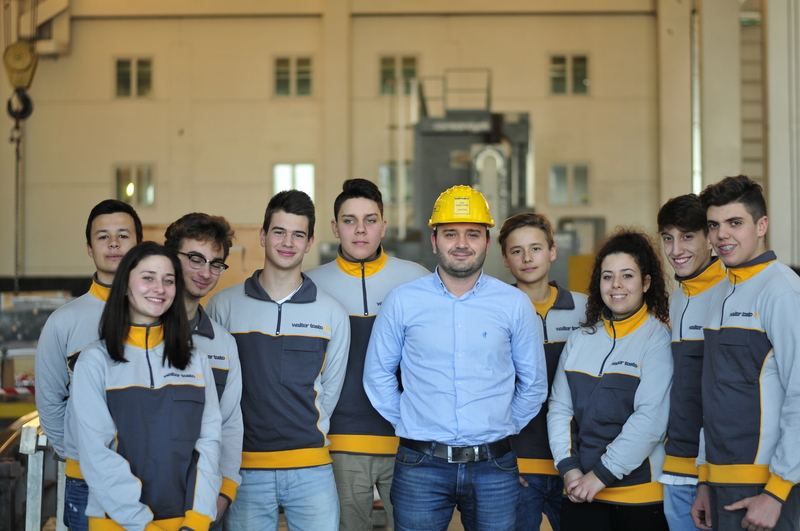 The training program was developed thanks to the synergy between Walter Tosto SpA and the foundation “Superior Technical Institute Energy Efficiency of L’Aquila”, which collaboration meets the purpose to satisfy the employment needs of the company on one hand and to develop an high level training program based on the new paradigm of industry 4.0 on the other hand. 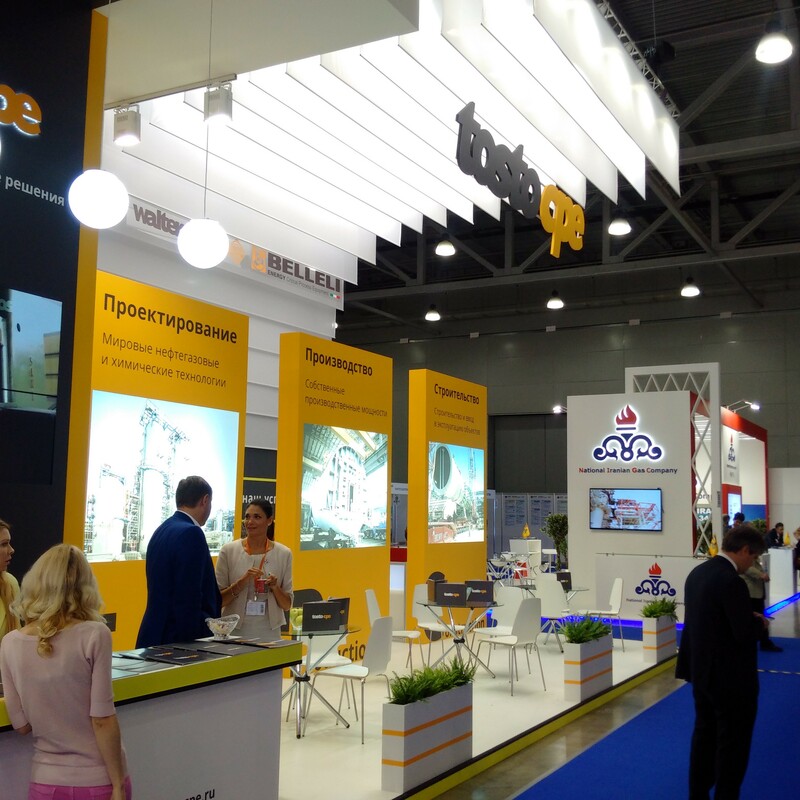 Walter Tosto SpA, operating in the mechanical – Pressure Equipment sector, designs and manufactures big size technological components which are exported all over the world for important customers of the Oil & Gas, Petrochemical and Energy markets. The participation to the training program is completely free with scholarships available. Walter Tosto actively collaborates with the technical institute “L. Savoia” of Chieti with which an ad-hoc study path involving the Mechanical address was created, in order to fully reflect the needs of the sector in which the company operates, that is pressure equipment, as well as to allow students to acquire the specific skills needed to enter in the world of work. Walter Tosto’s engineers and technicians were directly involved in the implementation of the study plans in collaboration with the teachers of the Technical Institute. 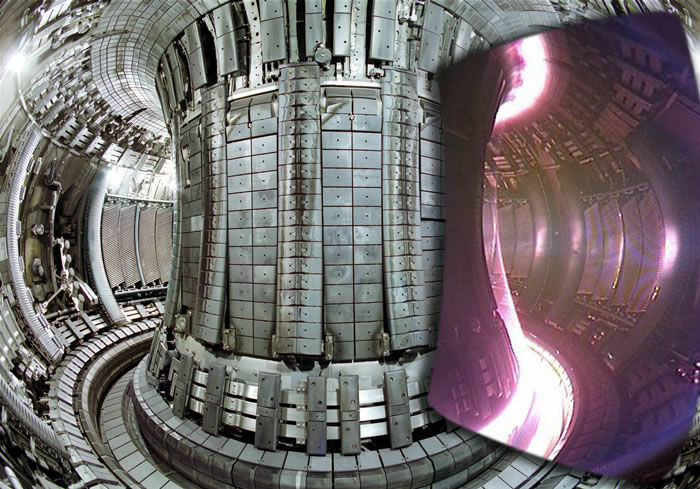 The project was activated in September 2017 and it is carried out within an experimental class of the mechanical address with declination on pressure equipment. 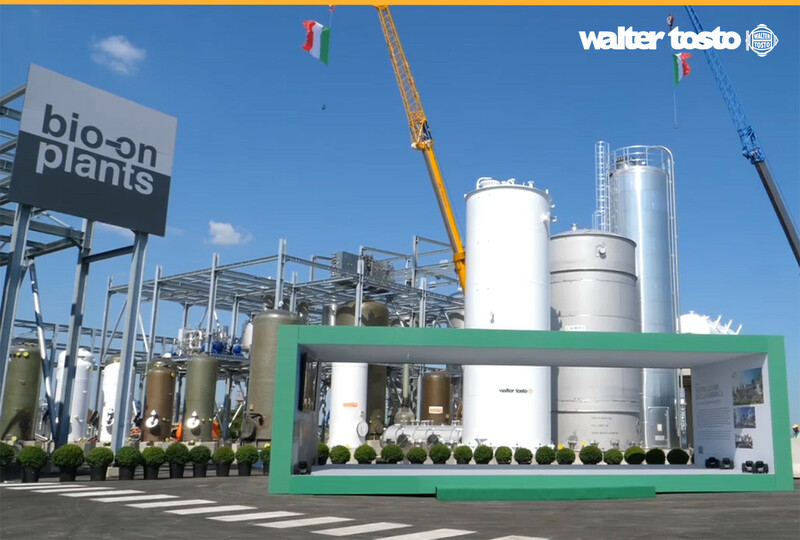 Walter Tosto also provides to the students a dedicated area located inside the company, along with micro equipment and machinery for simulating business processes and to perform training activities. Walter Tosto SpA is the first company to promote and activate the Professional Qualification in Pressure Equipment Operator in collaboration with IIS “U Pomilio” of Chieti, AIPE, CNA Abruzzo, CNA Chieti, CCIAA – Chieti, Internationalization Agency, Nexus Srl and Llyod’s Register. The qualification was recognized by the Abruzzo Region and it can be obtained at the third year of the professional institute. Subsequently, students have the opportunity to serve an internship in the company. Since 2006, the company carries out a professional training course for welders, divided between practical training (200 hours) and theoretical lessons (20 hours). About 20 young people participate in each edition and 80% of them end up positively the program by becoming a qualified welder, while 50% of the participants are subsequently included in the company’s staff. The six-week training course for Robot Welding Operators organized by Walter Tosto in collaboration with the Italian Institute of Welding (IIS) was addressed to 14 young people, selected from over 150 candidates. The course, which took place within the company’s factories in Chieti, was based on theoretical and practical lessons on anthropomorphic robots used in the production cycle. 9 of the 14 participants successfully completed the training and started a professional career in the company. 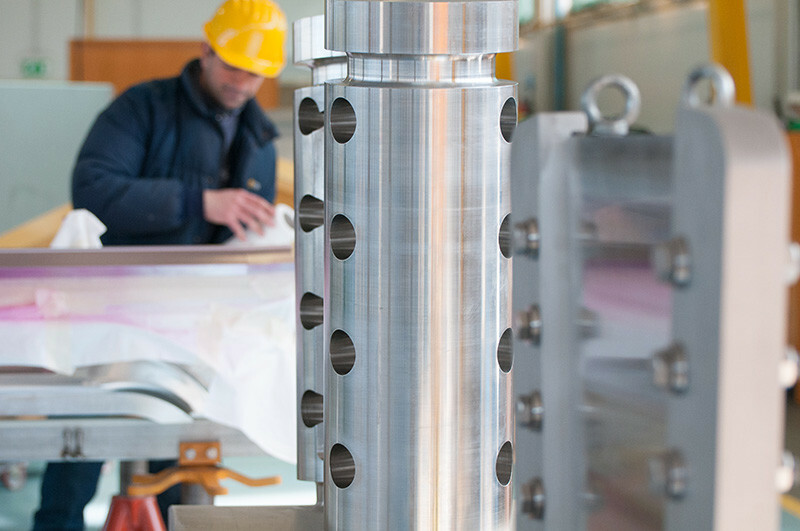 In 2010, Walter Tosto SpA organized the first master in Pressure Process Equipment: Design and Manufacturing, in collaboration with University of L’Aquila and the Italian Institute of Welding. In 2012, the second edition was held with 20 participating students, 12 of them are now part of the company’s staff. The Junior Sales Area Manager program, activated in September 2014, was fully organized by Walter Tosto SpA in order to selected the future Sales Managers of the company. Six graduate students attended a 6 month master course which was held for the first part in the areas of quality, design, technical office, welding and workshops, while in the second part of the course the students were included in the commercial area. This is a professional course held in 2014 for 20 students of the last year of the degree in Chemical Engineering at University of L’Aquila. The course, organized with the support of Prof. Foscolo, is related to the Mechanical Design of Pressure Equipment with the aim of providing to the students all the knowledge in pressure and structural design of some common types of equipment. 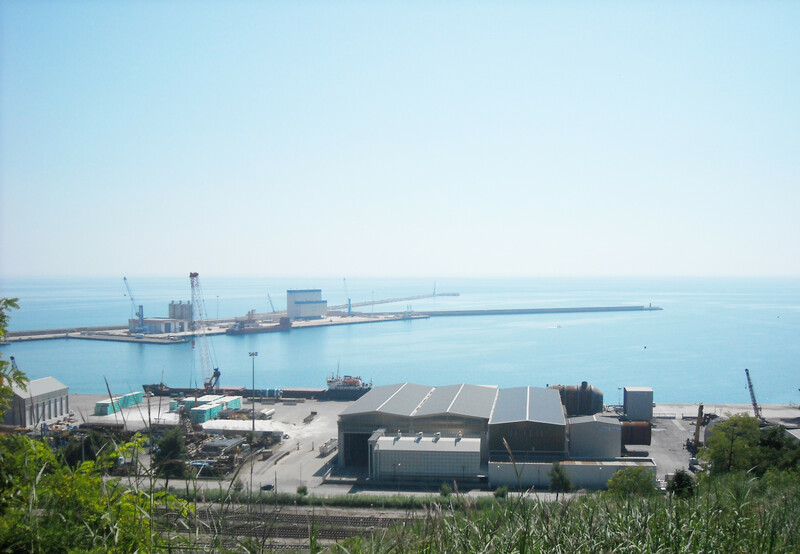 The company has for years welcomed the students of the technical, professional institutes and high school students at their third, fourth and fifth year from the territories of Chieti and Pescara to carry out internship activities established by the work-related learning project. During the (up to 400 hours) training courses, students are followed by experts in the different functional areas of the company.